Action Figure Insider » Savage & Maul Return in New Episode of The Clone Wars! Savage & Maul Return in New Episode of The Clone Wars! 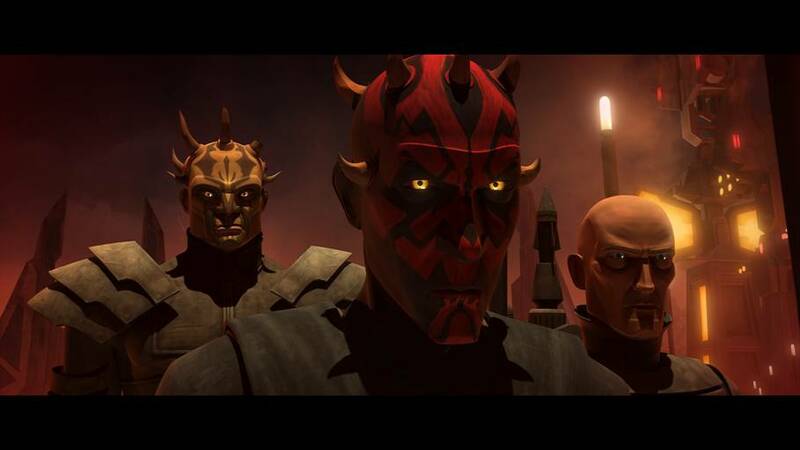 Savage and Maul forge an alliance with the Death Watch that targets their common foe: Obi-Wan Kenobi. After barely escaping their encounter with the Jedi at the beginning of the season, Savage and Maul are found by Death Watch. Both parties forge an alliance when they realize they have a common enemy in the Jedi general, Obi-Wan Kenobi, in “Eminence,” airing this Saturday, January 19th at 9:30am ET/PT on Cartoon Network. Guest Stars: Pre Vizsla is voiced by Producer/Director Jon Favreau, Darth Maul is voiced by actor Sam Witwer (Being Human), Savage Opress is voiced by actor Clancy Brown (The Shawshank Redemption) and Bo-Katan is voiced by actress Katee Sackhoff (Battlestar Galactica).